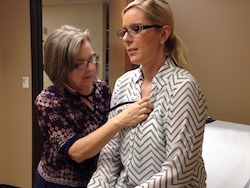 Nurse practitioner Naomi Warren provides primary care for hundreds of devoted patients in McLennan County, one of 220 counties in Texas designated as medically underserved. While Congress proved incompetent to improve health care, Texas legislators have a golden opportunity right now to dramatically increase access to care. How? By substantially increasing the number of primary care providers. And … it wouldn’t cost a dime. We’ve got a real problem here. According to The Commonwealth Fund, in 2015 Texas ranked dead last regarding access to and affordability of health care, a shortage of providers being a leading cause. Thirty-five counties have no physician and of Texas’ 254 counties, 220 are considered medically underserved, according to federal data. That leaves 20 percent of Texans — 4.6 million people — without access to a primary care provider. Bills introduced this session by Sen. Kelly Hancock (R-North Richland Hills) and Rep. Stephanie Klick (R-Fort Worth) could very well pull us out of the ditch. Senate Bill 681 and House Bill 1415 would deploy thousands more advanced practice registered nurses by removing the physician supervision requirement. First, some context. Advanced practice registered nurses have been around since the 1960s — nurse practitioners (who provide primary care), certified registered nurse anesthetists, certified nurse midwives and clinical nurse specialists. In the 20th century, when doctors were usually men and nurses usually women, doctors staked out ownership of providing primary care, and legislatures inexplicably enabled them. But nurse practitioners are exquisitely educated, trained and prepared to provide primary care. Dozens of studies throughout the decades demonstrate nurse practitioners provide primary care on par with physicians, having as good or better patient outcomes. They also score higher in communication. While almost all states have evolved past physicians’ irrational oppression of nurses, Texas remains among a handful of states that restrict their practice. As part of a legislative compromise for independent practice in 2013, advanced practice nurses were required to obtain a doctor to sign a document agreeing to supervise their work. Under these agreements, physicians don’t see nurses’ patients, audit 10 percent of their charts and don’t even have to live in the same city. The contract agreements are extremely costly, from $20,000 to more than $100,000 per year according to a Dallas Morning News editorial, effectively pricing the practitioners out of Texas. Four years out from the pay-to-play requirement, we see advanced practice nurses — who are educated in Texas at taxpayer expense and want to stay in Texas — flocking to 21 other states that don’t restrict practice, including all that border Texas. Heck, the New Mexico Legislature recently appropriated money for an advertising campaign to recruit them! SB 681 and HB 1415 would end the brain drain. We’ve got around 15,500 nurse practitioners practicing here, but we could have thousands more. The bills would also end the Texas Board of Medicine having any regulatory authority over nurses. The notion of physicians supervising and regulating advanced practice nurses in any way is, in a word, outrageous. Advanced practice nurses are educated and trained by nurses, regulated by nursing, licensed by nursing and governed by nursing. Nursing and medicine are separate professions, and no other health profession is partially regulated by medicine. Who opposes the bills? Despite the appearance of conflict of interest, the Texas Medical Association cites patient safety as the concern. Yet not a scintilla of evidence exists from states where nurses practice independently that patients are at risk. This is the same organization that produced a workforce report saying that by the year 2025, Texas would be short 10,000 doctors. You’d think they would want the help. A broad coalition of 20 organizations has formed to support the legislation including AARP, the Texas Association of Business and think tanks that normally oppose each other — the Center for Public Policy Priorities and the Texas Public Policy Foundation. If every single nurse practitioner and family doctor were deployed, Texas still could not meet the need for primary care, as the growing demand far outstrips the supply. If SB 681 and HB 1415 become law, Texas could keep the advanced practice nurses it educates and could recruit advanced practice nurses from other states.